I came back to the DC area after hanging out with my family for Thanksgiving. It was an early morning. I was up at 4AM and slept most of the afternoon away, once I made it back. I had a feeling my friend, Mandy would call about the Orlando Magic v Washington Wizards game tonight, so I decided to stay in town. Sure enough a little before 6PM, my phone rang and I hauled my lifeless body to the Verizon Center for the game. Tip off was at 7PM and I arrived at the arena 10 minutes before the hour. Mandy had a ticket for me, but I wasn't sure where it'd be. **** I'm a bit of a ticket snob. I expect a good seat when I go to a game, and I'm willing to make sure I have one. Since I had a few minutes, I decided to scalp a ticket. The first guy I talked to refused $50 for a ticket in section 120. That's fine. The next guy showed me a ticket in section 119, row E. Face value was $125. I offered him $50, and next thing you knew, we had a deal. I texted Mandy that I was good and into the building I went. Turns out that she and her friends were in section 118. Perfect. As I watched the 1st half, it finally hit me late in the 1st quarter that John Wall wasn't playing. Um, yeah. Like I said, it's been a long day. Guess I'll have to go to another game. **** Oh, I know ~ I'll go and catch the new look New York Knicks (i.e. 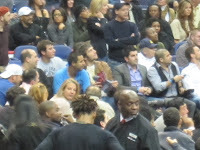 with Amare Stoudemire) when they come to town. 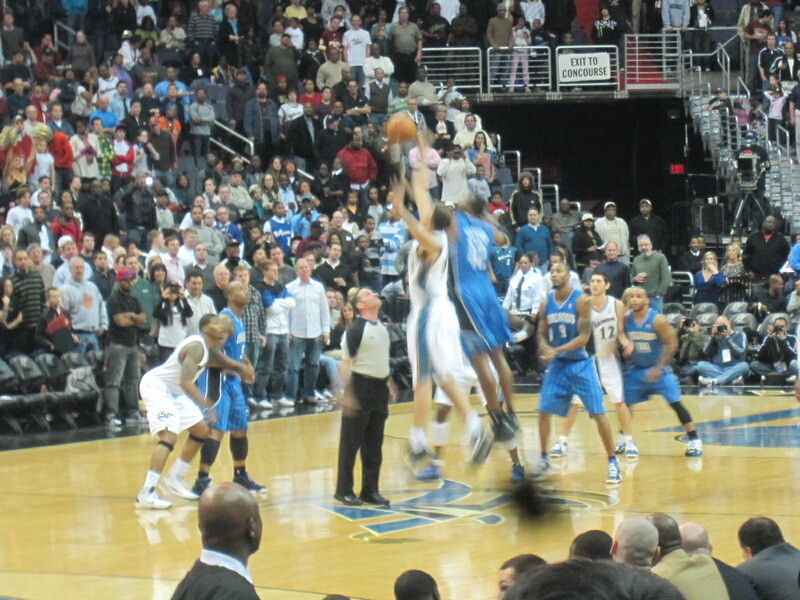 Another thing I noticed was that Gilbert Arenas was playing tonight. I can't honestly remember the last time I've seen Gilbert in uniform and playing. He had a great game tonight. He tallied 31 points. On one possession Gilbert took a shot and the man on my left told his daughter, "4 years ago, he would have made that shot." Wow. What can I say though? The man spoke the truth. 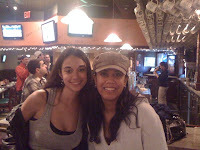 The game was much closer in the 2nd half, but Mandy et al and I watched the 3rd quarter from The Greene Turtle. 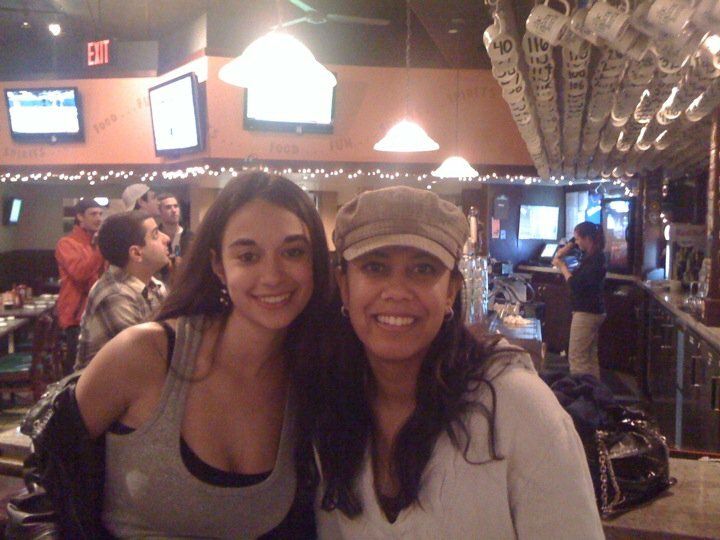 It was our chance to catch up, since I hadn't seen her since I was in Phoenix for the NBA Playoffs. We went to watch the 4th quarter and the game was definitely tighter. Incidentally, the line was Washington +7. I told my friend, I'd take the points if I was him. Without John Wall, and after the victory over Miami, I figured that the Magic would win, but that the game would be competitive. Needless to say, I was correct. After the game, we took our visitor passes and headed to the tunnel to greet the Orlando Magic. Patrick Ewing walked by, but I've met him numerous times before so I wasn't going to bother him. He signed a basketball for someone and whoever that person is better realize just how lucky he/she is to have a Ewing autograph. **** When I was in college I tried a number of times to get him to sign my Knicks pennant and was always unsuccessful. However, since I've run into him and talked to him a number of times, I don't feel pressed to make contact again. 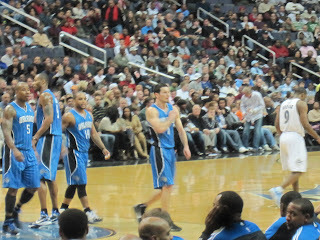 I saw J.J. Redick and Chris Duhon and contemplated taking a picture with them, but the more I thought about it ~ I'm "Duke'd" out after all the games I've seen. I'm actually going to see the Duke v Butler match-up on Saturday (i.e. next week). My brother is a Duke alumnus... I'm good. Alex Ovechkin was at the game sitting courtside. Coincidentally, Vince Carter was also sitting courtside on the Magic's bench, since he's injured (i.e. knee). The rest of the Orlando Magic eventually trickled out of the locker room, and last but not least, Dwight Howard came out to the tunnel. Finally, I took a good picture with him and that was all she wrote. Great night out. 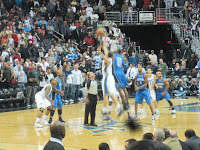 Magic defeated the Wizards with a score of 100-99. Dwight Howard's put back was the difference, since the Wizards couldn't convert on their final possession. 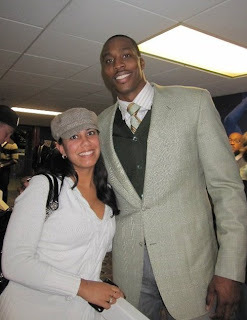 Dwight Howard finished with 32 points and 11 rebounds. Wow. You're right! It took me a minute, but I DID see you in Vegas for Summer League... Would you believe that Summer League slipped my mind?!?! LOL.